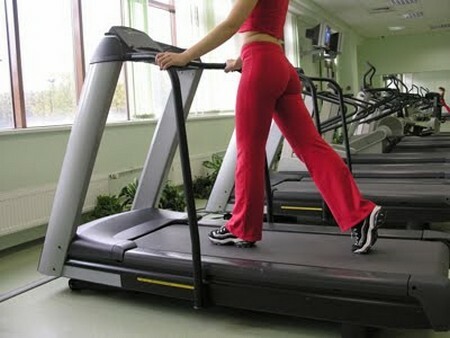 To be effective, walking, jogging, or any other form of exercise must be performed regularly. Regular partici­pation for 2 to 3 months will yield substantial physiological and psycho­logical benefits that ultimately might give you the motivation to continue. The major challenge for the beginning exerciser is to sustain physical activity during the early weeks of participation without losing interest or becoming injured. Enthusiastic beginners, anxious to achieve their goals rapidly, tend to overdo it in the early stage of their fitness program. Beginners face a “catch-22” situa­tion: They need enough motivation and enthusiasm to start and maintain the exercise habit, but too much en­thusiasm can stimulate them to exer­cise beyond their capacity. Exercising beyond one’s fitness level is not en­joyable. It is extremely uncomfortable and even potentially dangerous. If the exerciser attempts to push the program, negative feelings toward exercise will develop quickly, and soon the program, with all of its good intentions, will be discarded. After all, how many of us are maso­chistic enough to endure discomfort and pain in every exercise session? Consistent participation comes about from enjoyment of exercise. Pain and enjoyment are contradictory. There­fore, novices should not become overly impatient for rapid gains. These will come soon enough. Prior to beginning an exercise pro­gram, a medical examination is desir­able for men 40 years of age and older, and for women 50 years of age and older. People who are apparently healthy may participate in low- to moderate-intensity exercises without medical clearance. People at higher risk—those with two or more major risk factors—should have a medical exam that includes a physician-monitored exercise electrocardio­gram (ECG). Risk factors include the coronary factors of high blood pressure, hyper-lipidemias (abnormal blood fats), cig­arette smoking, family history for heart disease, obesity, and a sedentary lifestyle, as well as symptoms that suggest metabolic disease (for example, diabetes, kidney disease, and liver disease). College-age adults usually can start exercising without medical clearance. Everyone should begin within their capacity and pro­gress gradually. The exerciser’s aims and objectives should help to determine the direction of the program and the type of physi­cal activity selected. Weight loss, road race competition, and the development of strength are objectives that suggest different types of physical ac­tivities as well as different exercise emphases. The objective of properly conceived exercise programs should be reflected by the manner in which the principles of exercise are utilized. The extent to which each is empha­sized or deemphasized is the key to accomplishing specific objectives.